ew of my recent reviews were a result of my stubbornness, of my inability of letting things go. A story behind this review of Slovenian loudspeakers is quite different. Some time ago the very first review of Model One was written by Matej Isak of „Mono and Stereo” magazine (you can find an interview with Matej in our „The Editors” series HERE). I admit that I read only few reviews these days as I simply have no time for it (my bad). But Matej released a teaser of this test on Facebook and it was so compelling that I 'made' time to read the whole review. After that I contacted Matej and asked him directly for even more personal insight. He confirmed everything I already knew from his text, added some more praises on top and ensured me of his absolute impartiality in this matter (after all he is also Slovenian so one could suspect some sort of conspiracy here... - I hope you know I'm kidding :) ). I decided to send an inquiry to Ubiq Audio asking for a review pair, mentioning also my conversation with Matej. Guys from Ubiq contacted Matej, and I think also Hari from Natural Sound, and it seems that these two gentlemen confirmed that this Dyba dude from Poland is rather OK. And so still same day I got my answer stating that Ubiq crew knew, read and appreciated „High Fidelity” magazine and that they would love to deliver Model One for review as soon as the test pair would come back from Germany where these were assessed by potential German distributor. And so I waited. Patiently. Really! I can be patient (sometimes, OK on occasion I can, even if these are rare occasions). Unfortunately (for me I mean) this German distributor liked the speakers so much he wouldn't send them back. And since Ubiq Audio was a relatively new and small company at the time with many potential distributors waiting in line for their demo pairs, delivering another pair to me was sort of an understandable problem. All I could do was to keep waiting. I felt that I was missing an opportunity to experience something special with Ubiq loudspeakers. I don't know about you but I sometimes have a gut feeling about some components, an intuition, if you will, that tells me that I would love some component that I never even had a chance to audition. That's what happened once when I bought (also coming from Slovenia) a fantastic phonostage Nibiru by ESELabs that I've been using for few years and still using today, or a great linear TransFi tonearm, or Bastanis Matterhorn speakers that I decided to buy after the test and that are still part of my reference system. This time also something told me that I had to listen to Model One. After few weeks I received an email from Mr Miro Krajnc, one of the three designers behind Model One, who I corresponded with from the very beginning, that there was a big chance Ubiq Audio together with a secret partner would exhibit in Warsaw during AudioVideoShow 2015. And that if that worked they would leave speakers with me after the Show. Yes, yes, yes! I thought to myself (Poles know whom am I quoting now) keepigng my fingers crossed. Later I found out that this secret partner was Italian company ForteVita whose products caught my interest already during last HighEnd Show in Munich. Italians provided amplification including absolutely delighful (in its appearances and sound quality) preamplifier and maybe not so beautiful but equally remarkably sounding power amps. Igor Kante, the owner of the Ubiq Audio brand, brought a beautiful pair of long awaited (by me I mean) Model One. Those who visited this room during the Show might have not even noticed other elements of the systems - streamer and cabling made by a brand from New Zealand called Antipodes. Igor is a Slovenian distributor of this brand (among many others). Why did I notice them? Well, because I've been using Antipodes analogue interconnect called Komako already for a few years. I bought it not long after brand started to promote its products on Audiogon. I purchased it also because of that gut feeling telling me that it was a great product available at particularly attractive price – and, as usually, I was right! 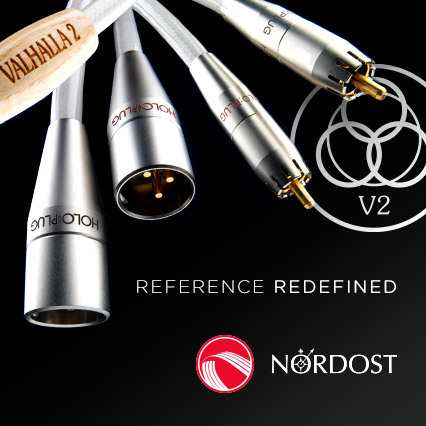 Today this brand not only offers even better cables – Igor claimed that the Reference series he brought for presentation to AVS was one of the best there were on the market regardless the price – but also a streamer, in Igor's opinion also belonging to the best ones. Let's get back to Ubiq Audio though. From my conversations with Igor and Miro I concluded that the former was responsible for the foundation of the brand driven by a need of creating high-end speakers. As I already mentioned Igor is (and was) probably the biggest audio distributor in Slovenia which means he had a huge experience with several top audio brands and their product. When he decided to design loudspeakers under his own brand it was clear that he wanted to start already with advanced, high quality, high end product. As he told me, he was also a great fan of all kinds of live music. He attended multiple live concerts with music of different genres, so he knew the sound of real instruments perfectly, he knew how dynamic, powerful, energetic live performance could be and he wanted to reproduce that with his speakers. The speakers to be created had to offer not only high quality sound but also this live-like dynamics and energy Igor remembered from all these concerts. Having first hand experience with many top loudspeakers from different brands Igor believed that many of them were not capable of reproducing the level of energy and dynamics delivered by live instruments. He had a clear vision, defined goal he wanted to achieve so he had to find some specialists who could help him to bring this project to life. He decided to invite Miro Krajnc and Janez Mesaric. The former had been studying acoustic theories for over 25 years implementing them in dozens if not hundreds of loudspeakers he built. As he told me, he built most of them upon individual orders but also under his brand, you might have heard of, called SoulSonic. The latter is an acclaimed industrial designer, receiver of BIO19 award and I.D. design award, founder and director of Design Studio Mashoni. The Studio takes care of Ubiq's visual identity. Janez is also the person responsible for the astonishing aesthetics of Model One. 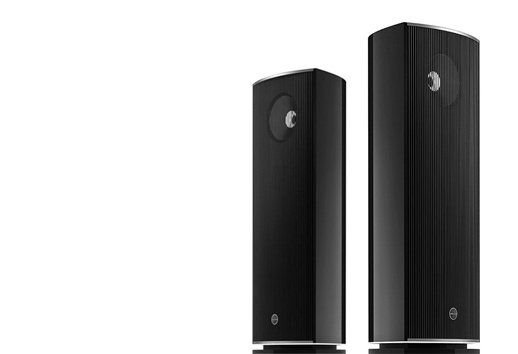 Miro, basing on Igor's general concept designed a quite large, three-way loudspeaker, which was another key element of the whole concept, as Igor assumed that to recreate the scale of live event one needs large, at least 3-way speaker. Janez created the final look of Model One, not forgetting about acoustic requirements of such design, and Igor spent almost 2 years finalizing details, hand picking all elements and fine tuning the sound. They had one significant advantage over most loudspeaker designers – they could spend as much time working on even smallest details as needed as there was no pressure of time, no set release date, not set price level. From the very beginning of the project they knew it would be presented to the public only when it was 100% ready. What is so special about Model One? First of all it is not so popular in recent years speaker with narrow front baffle sporting small diameter drivers with bass-reflex loading. From my conversations with Igor and Miro (I haven't met Janez) I learned that both of them believe that best effects are achieved by combining modern, advanced technologies with a touch of „well-proven tradition”. So if the Model One was supposed to be a decent, 3-way loudspeaker (these gentlemen do not even recognize 1 or 2-way speakers as worth their attention) it had to sport a large, solid and heavy cabinet. And so Model One measures 118 cm (H), sport a wide front baffle (42 cm) and the depth of 37 cm is also quite 'serious'. It was supposed to be also heavy – 42 kg a piece confirms that the goal was met. All drivers sport membranes made of traditional materials – paper and polyester, all feature oversized coils (tweeter - 38 mm, midrange - 54 mm, woofer - 76 mm). Designers decided also to use large diameter drivers – one doesn't often find 12'' woofer, 8'' midrange and 38 mm tweeter in speaker of that size. Model One sports (almost) closed cabinet. Almost as there is a small opening on the back of a midrange woofer chamber. Miro told me that is it there only to release pressure from the chamber to avoid distortion (so it does not work as bass-reflex). Tweeter works inside waveguide and it sits bit deeper than other two drivers to ensure time and phase coherency of all drivers. The woofer operates in a closed chamber. Crossover is a point-to-point type. Igor decided to use selected elements of highest quality including, which is particularly interesting for us, capacitors made in Poland that during his experiments he found better than other competitors. Cabinet combines acoustic requirements with astonishing aesthetics – these are truly eye-catching, beautiful loudspeakers with a top quality finish. And I dare to claim that basing my findings on a pair that, as Igor claimed, was only a prototype not matching units from regular production in terms of make&finish quality! There are no parallel walls within the cabinet, neither on the outside nor inside. The shape of the front baffle, placement of all drivers, shape of the whole cabinet with its wide front and narrow back – all these element were chosen to achieve the ultimate goal – the best possible sound. Miro pointed out that woofer should always be placed close to the floor level as that results in truly rich bass that has proper 'weight' and so Model One's bass driver sits close to lower edge of the cabinet. The front is particularly interesting as most people who see Model One for the first time assume that it is a single, maybe coaxial driver, speaker. The only driver that is visible is the tweeter placed in a waveguide – hence the impression of a single/coaxial driver. The other two drivers stay hidden under a grill that sports only one, circular hole allowing us to see the tweeter but not other drivers. To make it look even more interestingly (and bit like one of Frank Serblin's designs) Ubiq placed a harp (as my daughter called it) in the front. These are vertical, flexible, rubber (I think) strings stretched between two metal bars that are mounted near the upper and lower edge of the front baffle. Only when one takes off the 'harp' and grill all drivers become visible sitting in a front baffle that is additionally damped with some sort of black felt mat. The side walls closing in towards the back of the cabinet are made off 4 layers of hand-picked Okoume wood, that needs to be bent to achieve required shape. It is a complex process that takes a lot of time, effort and of course is quite expensive too. Manufacturer offers three standard finishes: White Pearl, Black and natural Slovenian walnut veneer. Another interesting and good looking solution is using the same material on the back of the cabinets as the one used for a grill in the front. I have to admit to color combinations used for Model One look really, really elegant (although apart from White version the other ones I've seen only on photographs). Cabinet sports aluminum top and bottom covers – these are offered in many different colors. It is also possible to customize cabinet's finish upon customer's order. 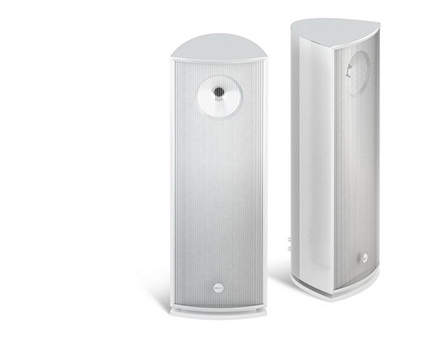 I have to say it, also because other members of my family also confirmed my observation, these are the most beautiful white speakers I ever reviewed and it says a lot as I don't even like white things (that remind me of a hospital). Having said that I should also admit that probably, as a traditionalist, I'd rather chosen a wood veneer finish for myself. Manufacturer declares anechoic frequency range of 40 – 30 000 Hz, +/- 3 dB, but in a typical room bass may go down to 30 Hz, or maybe even to 25 Hz, depending on the room acoustics and placement of the speakers. Nominal impedance of 6 Ω (that it never goes below 5 Ω) combined with 88dB sensitivity make these speakers relatively easy to drive. Igor knowing my personal preferences told me though that low-power SETs were out of question. Loudspeakers, or rather drivers and crossovers to be exact, undergo an initial breaking-in already at manufacturer's workshop – it's not (at least not only) about making user's life easier but about checking whether all elements work properly after operating for some time. After this initial break-in period measurements are taken again and loudspeakers are sold only if they meet rigorous criteria. This way Ubiq Audio enters the market offering not only high quality make&finish, and sound obviously, but they also right from the start let customers know that they did everything in their power to deliver a reliable, flawless product. Alan Silvestri, Predator, Intrada MAF 7118 , CD/FLAC. Arne Domnerus, Antiphone blues, Proprius PRCD 7744, CD/FLAC. Cannonball Adderley, Somethin' else, Classic Records BST 1595-45, LP. Coleman Hawkins, The Hawk Flies High, Mobile Fidelity MFSL 1-290, LP. Isao Suzuki, Blow up, Three Blind Mice B000682FAE, CD FLAC. John Coltrane, Blue train, Blue Note Stereo TOJJ-6505 (BN-1577), LP. John McLaughlin Trio, Que alegria, Verve B00000478E, CD. Keith Jarrett, The Koeln Concert, ECM 1064/65 ST, LP. Leszek Możdżer, Kaczmarek by Możdżer, Universal Music 273 643-7, CD/FLAC. Louis Armstrong & Duke Ellington, The Complete Session. Deluxe Edition, Roulette Jazz 7243 5 24547 2 2 (i 3), CD/FLAC. Mahler, Symphony no. 1, EMI Classical/Hi-Q Records HIQSXR35, Supercuts XRCD24. McCoy Tyner, Solo: Live from San Francisco, Half Note Records B002F3BPSQ, CD/FLAC. Michał Wróblewski Trio, City album, Ellite Records, CD/FLAC. Mozart, Le nozze di Figaro, dyr. Teodor Currentzis, MusicAeterna Orchestra, Sony Classical B00GK8P1EG, CD/FLAC. Renaud Garcia-Fons, Oriental bass, Enja B000005CD8, CD/FLAC. During AudioVideoShow volume levels in ForteVita/Ubiq Audio room were quite high most of the time with Igor Kante being responsible for that :) As he told me right away – he simply likes high volume levels as they remind him of live experience plus, of course, the conditions in Sobieski Hotel force exhibitors to play loud. Another aspect he proudly mentioned, was the ability of Model One to play very loud without any compression or distortion. He told me that these speakers were used also as stage speakers during live concert and they did that job perfectly too. I bet not so many audiophile grade loudspeakers would survive this kind of a test. The Slovenian speakers owe their 'durability' or ability to play very loud even over extended time to Italian drivers they feature made for professional market.